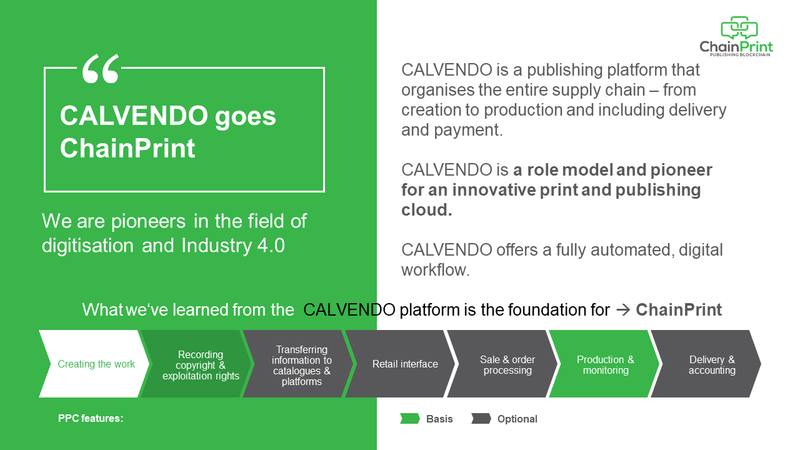 In the media sector, CALVENDO is a pioneer for digitisation and industry 4.0, and we are continuing to do so. 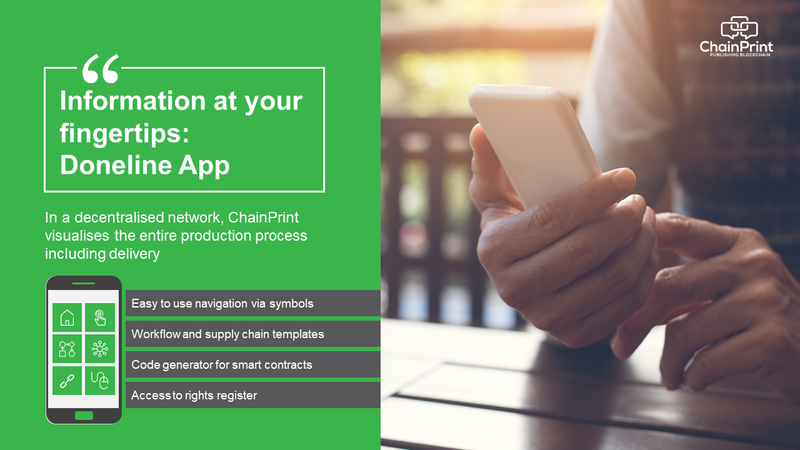 CALVENDO digitally and automatically maps the value-added chain from the creation of the work by the rights owner, through commercial distribution and production to delivery. 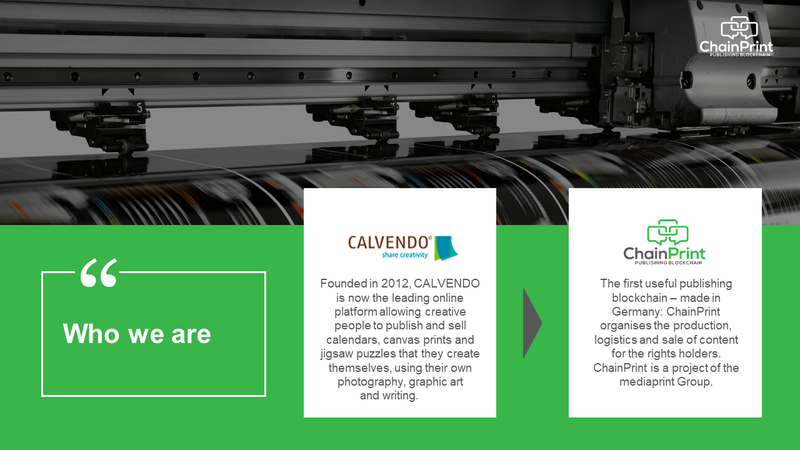 CALVENDO is a model for an innovative ``print and publishing cloud``, which the mediaprint group builds up as a service platform for third parties under the brand name ChainPrint. 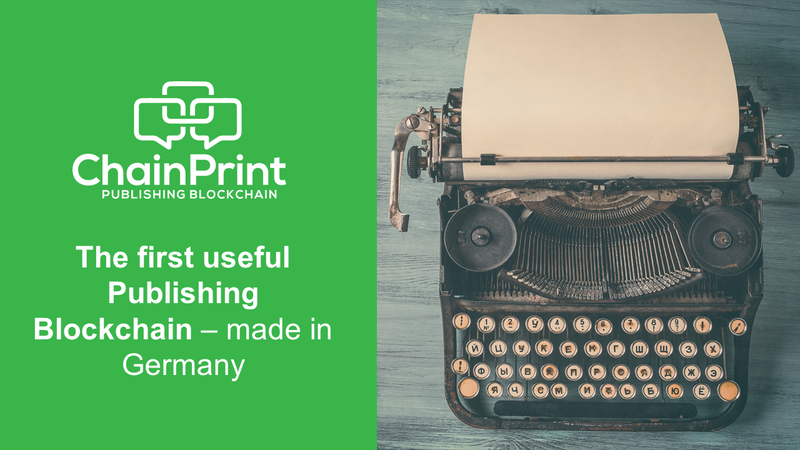 The first useful publishing blockchain - Made in Germany! 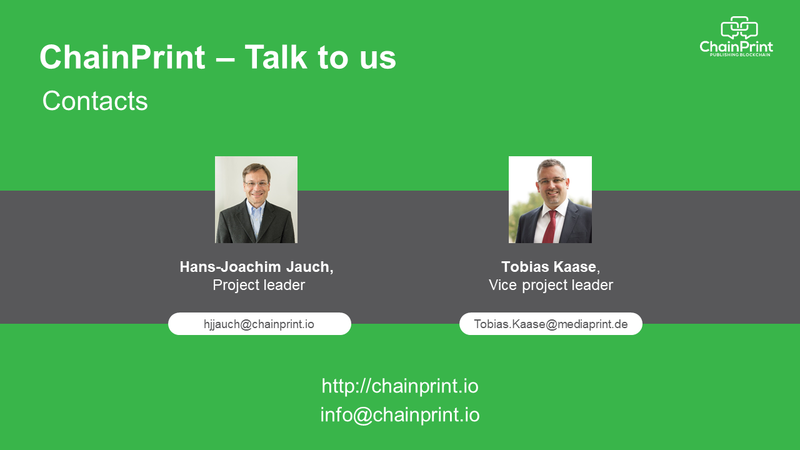 ChainPrint uses blockchain technology. The Blockchain is a decentralized database structure or a digital register that records transactions transparently. The particular strengths of the blockchain technology are decentralization, immutability and transparency. 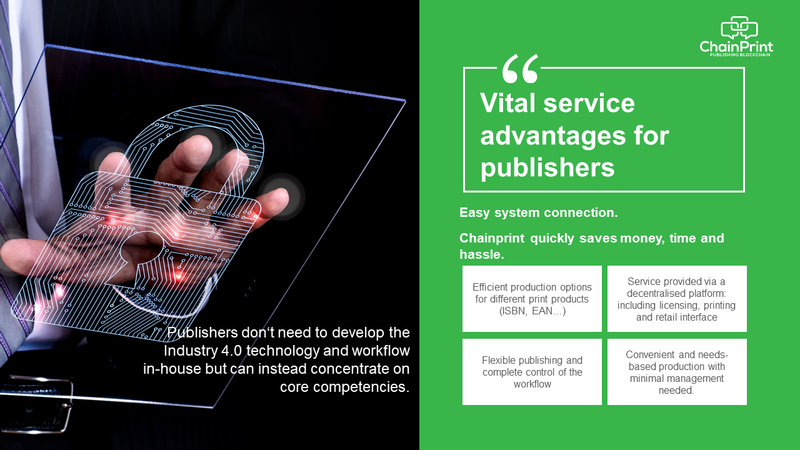 ChainPrint organizes the production and logistics of printed content. 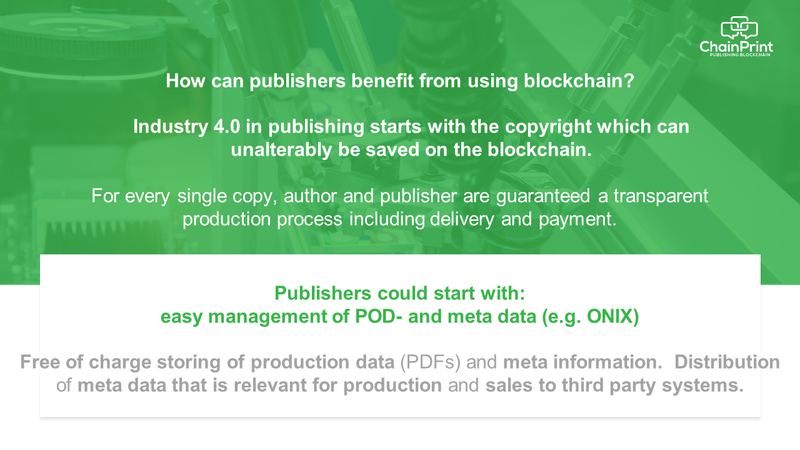 Production and distribution are handled by decentralised, independent system partners. 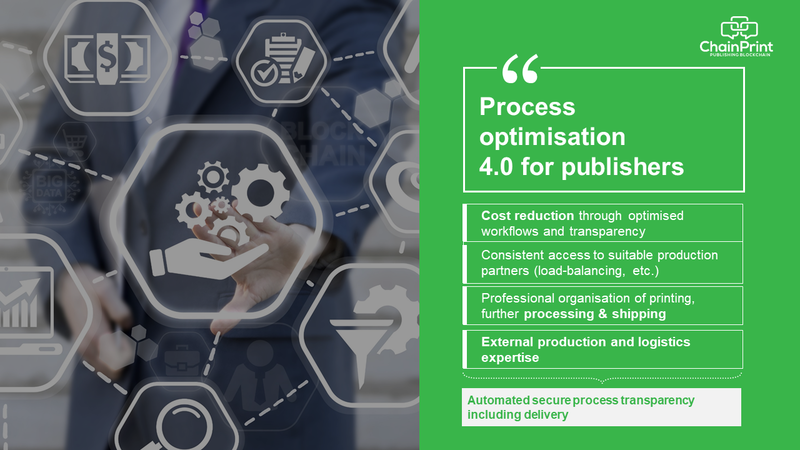 The customer benefits are manifold: from the production possibilities for different print products (ISBN, EAN...) and print run lengths (from 1 piece to mass production, offset or digital) via international trade connections to data, production and delivery reliability. 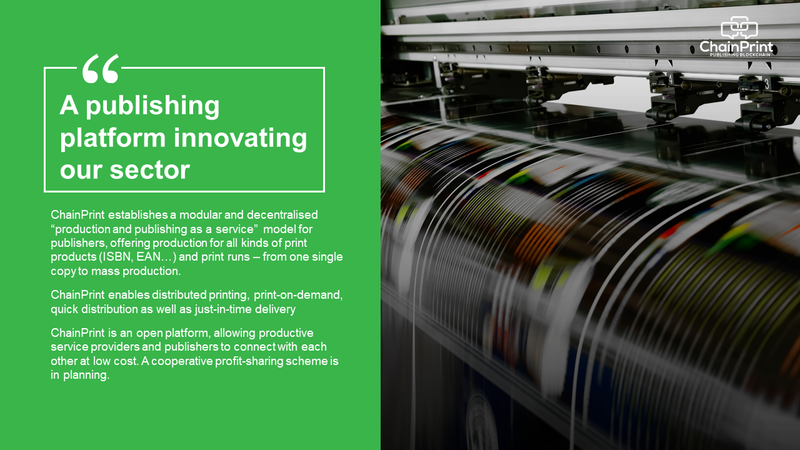 Based on the experience of CALVENDO, the mediaprint group builds up the “Production and Publishing as a Service” (PPaS) platform under the brand name of ChainPrint for rights owners and service providers. 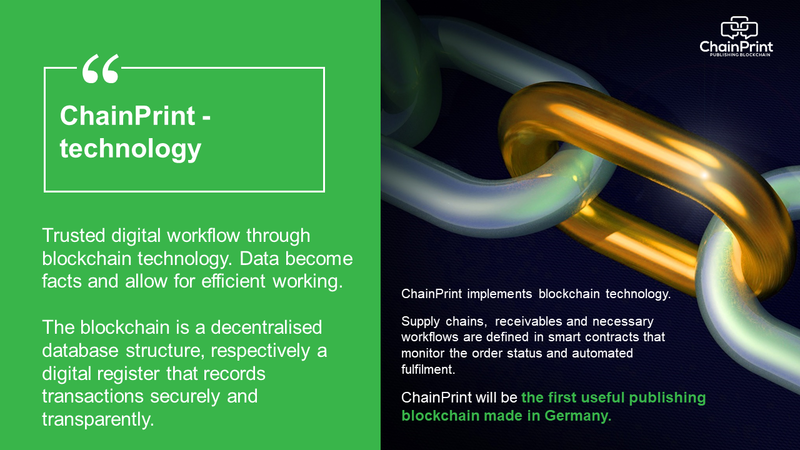 In line with the industry 4.0 logic, ChainPrint, based on intelligently networked systems and a blockchain, will offer the connected process participants – from originators/rights owners to print shops and retailers – complete transparency about the process as well as order status and individual piece tracking. The mediaprint group assumes the role of initiator and sees itself as an enabler of a decentralized network. Industry participants benefit from this through internal or external services. 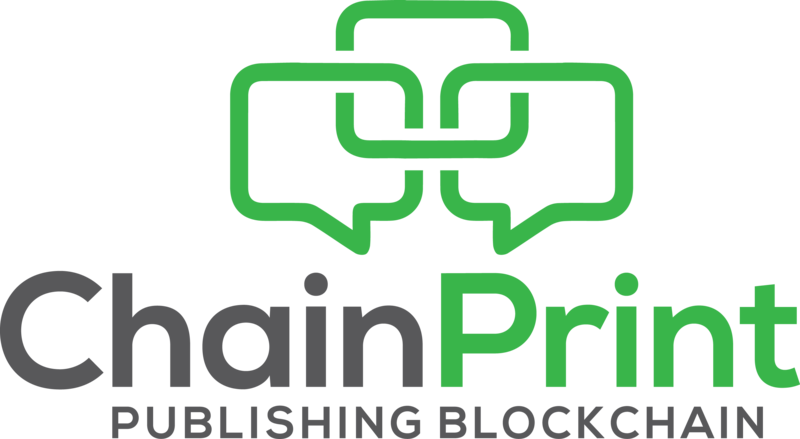 ChainPrint will be an open platform for authors, publishers, print buyers, printers, logisticians, distributors and dealers.